Morocco will launch November 8th its first ever satellite, joining an elite group of nations having their own satellite systems. Dubbed “Mohammed VI – A”, the earth observation satellite named after Morocco’s King, is a giant forward technological leap for the North African country, which proves to the whole world that perseverance pays off. 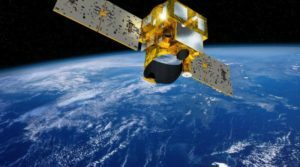 The Moroccan satellite, to be launched from Guiana Space Center, was developed by a consortium comprising Thales Alenia Space as system prime contractor and Airbus as co-prime. Arianespace group says the Mohammed VI– A satellite will be used in particular for mapping and land surveying activities, regional development, agricultural monitoring, the prevention and management of natural disasters, monitoring changes in the environment and desertification, as well as border and coastal surveillance. When the news of the Moroccan satellite broke out, it generated a lot of media buzz and irked neighboring Algeria and Spain, concerned over Morocco’s technological edge. As a response to Moroccan satellite, expected to boost the Kingdom’s reconnaissance capabilities, the Algerian rulers decided to deploy high-tech sensor radars along border with Morocco. A high-level Algerian commission gathering military top brass, senior officials from the ministries of the Interior, Public Works and IT has been set up to oversee the deployment of this multilayer detection and surveillance system. Algerian authorities say this high-tech system is destined to counter security threats. Relations between the two neighboring countries are already strained over the Sahara issue. Despite its huge oil and gas resources, Algeria’s economic situation is deteriorating, exacerbating social woes and political crisis while Morocco is thriving and its satellite can serve the interests of all peoples of the region. Thus, it should be a source of pride not anxiety. Posted by Khalid Al Mouahidi on November 2, 2017. Filed under News. You can follow any responses to this entry through the RSS 2.0. You can skip to the end and leave a response. Pinging is currently not allowed.